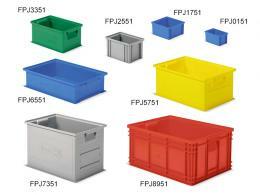 What is the purpose of the Propylene Stacker Bins? 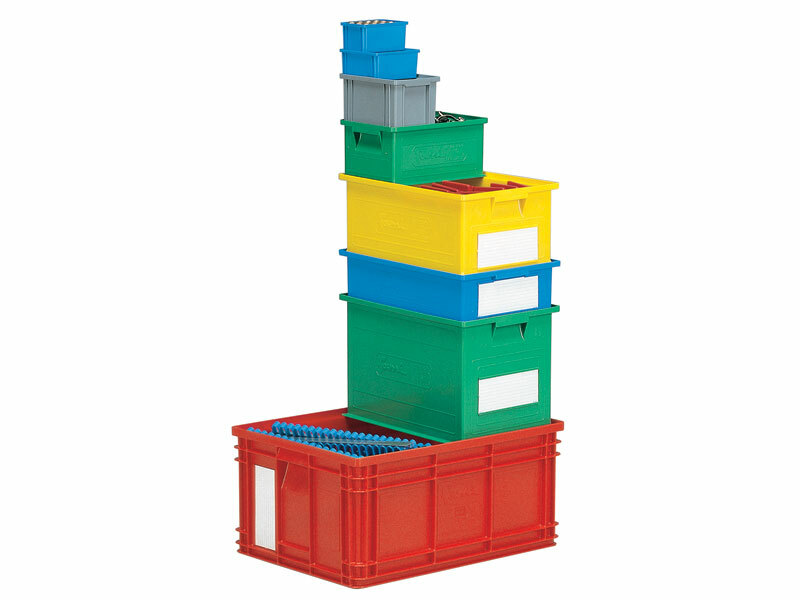 The propylene stacker bins are designed for storing items of all shapes and sizes. They come in a variety of volumes and each one can stack on top of the other, regardless of size. The bottom of the containers is smooth, so they can be used on conveyor belts without risking damage to the machinery. Also, they come in a number of different colours so whoever is using them can easily organize their belongings. The propylene material they are comprised of is also made for long-term use, helps to prevent damage from corrosive materials, and makes the bins easier to clean. Each bin also has handles on the side, so they can be lifted and stacked with ease. 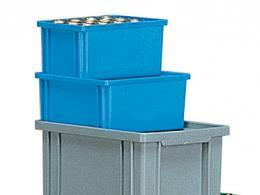 The propylene stacker bins can be used in a number of applications. They may be used in a warehouse for moving items without damaging them, to transport food without risk, or to keep fragile things inside that won’t be crushed when the bins are stacked. Even things like books or electronics can easily be stored in them without risking any damage. Someone may also keep these bins at their house if they need to organize items in their garage and keep them safe from the environment or wear and tear. The material of the bins will also prevent moisture from soaking into whatever is inside the containers, so they can be used in a non-climate controlled storage unit without the contents being at risk of humidity damage. People who might use this product are employees at a packaging warehouse that distributes food products. People who have a lot of belongings may also want to make use of these at home so they can store their items safely and organize them as well. They also come in different colours so the contents can easily be organized, no matter where they are being used. Each container has a spot on the front for a label as well, so they can be used for commercial or individual purposes. 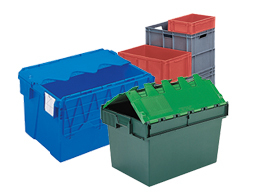 These stacker bins come with a 5 year parts and labour warranty because they are designed to last for many years. They are also available in 0.9, 1.4, 3.6, 8.7, 16.2, 27, 40.5, and 85 Litre volumes.